A history of excellence since 1924. 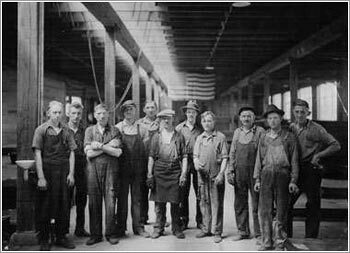 In 1924, to better serve the metal consumers in the Midwest, two men pooled their knowledge of metal and financial resources to form what is now Corey Steel Company. As a metals service center processing and stocking virtually any metal related product, Corey learned that a foundation built on integrity and service was the key to developing strong and mutually beneficial relationships in the metals business. Corey grew into one of the leading metals service centers in the Chicago metropolitan area. Carrying a vast array of products such as aluminum, brass, carbon, alloy, stainless steel, leaded nickel silver and brazing fluxes, Corey could satisfy any requirement of a metal consumer. In the 1950’s Corey installed a drawing line to produce cold drawn bars to help the company meet the demands of a rapidly growing marketplace. 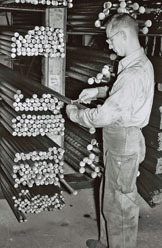 A little over a half a century later Corey has grown into one of the leading manufacturers of cold finished steel bars in North America with 600,000 square feet devoted to the production and storage of the product. Today, Corey remains a leading manufacturer of a quality engineered product with a commitment to unparalleled customer service and delivery.